Clean your dishwasher the right way: here’s how! Dishwashers save us a lot of effort and give us sparkling clean kitchenware day after day. But even this hard-working kitchen aid needs to be cleaned and descaled regularly. Why should I clean my dishwasher regularly? It might seem unnecessary because the dishwasher is cleaned with every cycle. Why does it need extra cleaning? The answer is very simple: to ensure better hygiene, less energy consumption, and a long machine life. 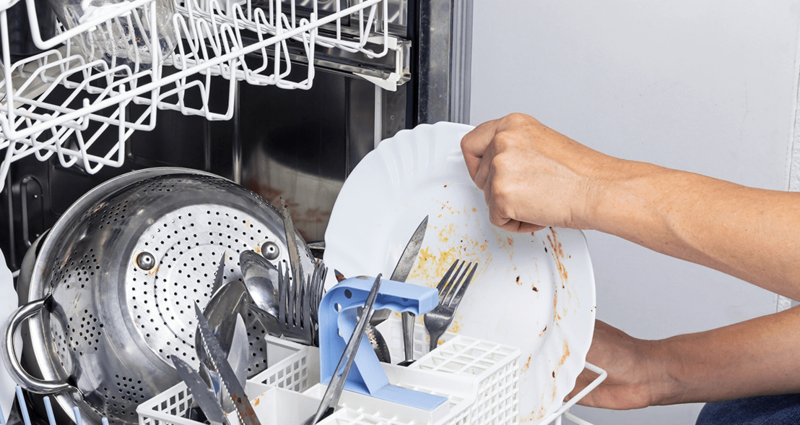 Limescale, grease, and dirt accumulate in the dishwasher. Germs can then stick to these deposits. Studies show that the dishwasher is home to a whole host of fungi and bacteria. They even form their own “residential communities”. Unpleasant odours are also due to germs. In addition, limescale deposits can reduce the performance of the machine. The water flow is impaired, components may be damaged by hard limescale, and calcified heating elements consume more energy—and therefore more money. 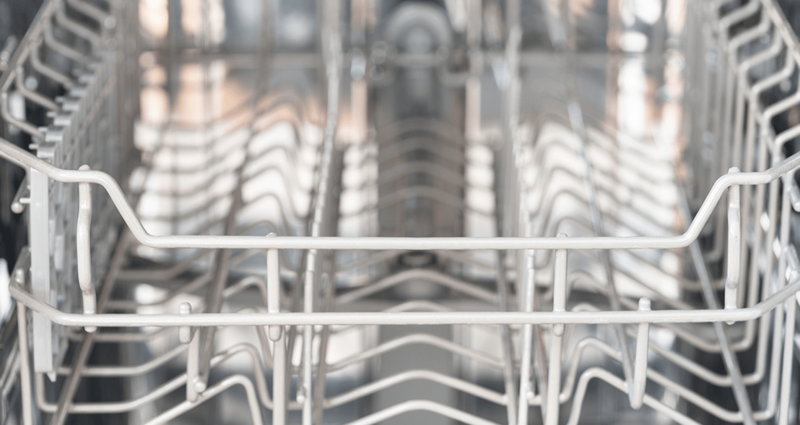 In the stainless steel interior of the machine, these deposits are usually not visible because they generally form in the pumps, tubes, filters, spray arms, or screens—essentially, all the inaccessible places. The rubber seals, hinges, and door rebate are also susceptible to dirt. Everything that runs down when the door is folded up collects in the door rebate: from coffee dregs to leftover food. This can be really unpleasant to clean because the layer of grease is difficult to remove. The deposits often act like mould, though mould refers to a specific group of fungi while the deposits are usually composed of grease, limescale, food waste, and germs. Scrape larger pieces of food off the kitchenware before placing it in the dishwasher. It is not necessary or ecological to rinse the kitchenware first, because this uses additional energy and water. 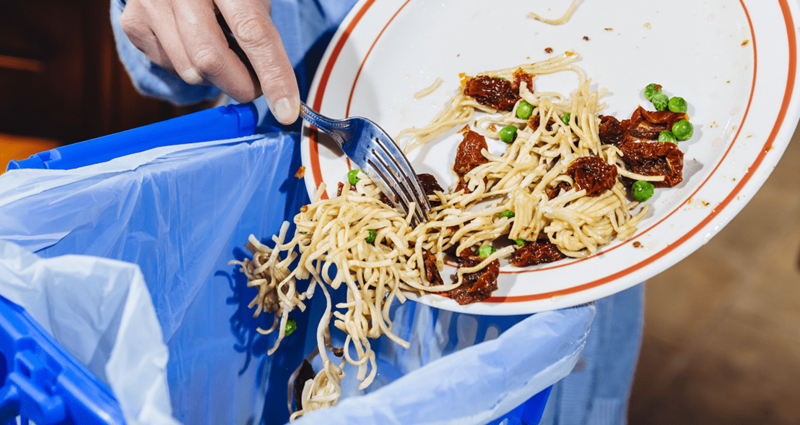 Regularly remove food waste from the screen at the bottom of the dishwasher. Ensure that the correct amount of dishwasher detergent is used. More details can be found in your dishwasher’s instruction manual. The amount depends on the water hardness as well as the detergent being used (e.g. multi tabs). After removing your clean kitchenware, wipe the seals and door rebate. This will stop the dirt from accumulating in the first place. Besides day-to-day maintenance, your trusty dishwasher also deserves a regular “intensive care treatment” to remove limescale, grease, and deposits reliably from every last nozzle. Until then, there are express limescale removers for a fast clean, which require only a short cycle, thus saving time, energy, and money. Classic machine limescale removers dissolve grease and limescale while adding hygienic freshness. Pure citric acid is also highly suitable for cleaning and descaling dishwashers. To give your dishwasher a really thorough clean, use a deep cleaner. First, clean the rubber seals and edges of the door. Then run the dishwasher with the rest of the cleaner. This cleans and descales your dishwasher while keeping it hygienically fresh. How often should I clean and descale the dishwasher? 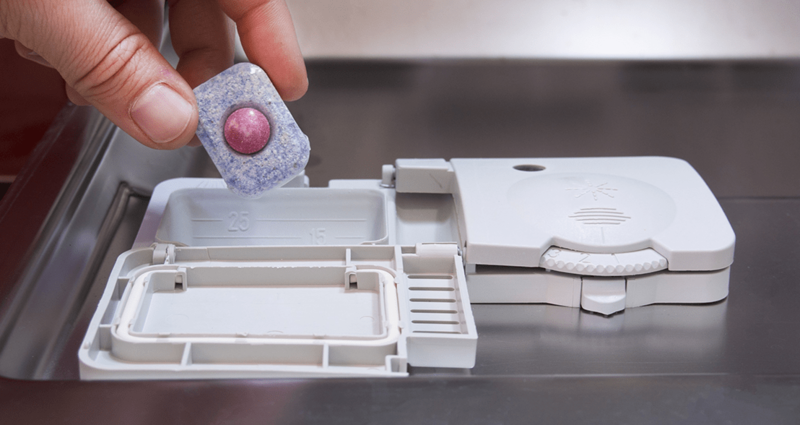 As a rule of thumb, you should descale and clean your dishwasher at least four times a year. The more often you use your dishwasher and the harder the water, the more frequently you need to descale. In extreme cases, it may be necessary to descale every month. You can find out from your waterworks how hard the water in your area is. The water hardness level is often indicated on their website. Clean and care for your dishwasher the right way, and make odours, germs, and limescale a thing of the past. Your dishwasher will last longer and be more energy efficient. You’ll save money and enjoy clean kitchenware from a hygienically fresh machine.